All rentals are subject to the terms and conditions to the rental agreement. Rates, conditions and specifications are subject to change without notice. Rates, deposits and fleet vehicle range may vary between locations. All due care is given to supply the vehicle requested, however, if a vehicle of the type requested is not available, a similar vehicle will be supplied. Vehicles offered on an unlimited kms basis are for 'local use' are to be used within a 200km radius of the originating depot - use beyond this zone is available by arrangement (POA). 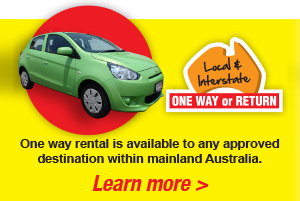 Unlimited km rates where offered are available ex our Cairns and Townsville depots - limited km travel applies to all rentals ex our Mt Isa office. Cars, 7 - 12 seat minibuses (other than our Toyota Commuter Hi_Rider 12 minibuses), 21-25 seat buses and trailers are limited to sealed road use. Use of the Vehicle on beaches, mine / quarry pits and under ground is prohibited to all vehicles. Failure to comply renders Loss and Damage cover null and void will result in loss of bond. Weather permitting four wheel drive rentals to Cape York are available between 1st of April and the 31st of October inclusive - minimum hire period of 10 days applies. Trailers: We offers one way rentals of our trailers between our locations, and if you're hiring one of our vehicles on a one way rental regardless of destination you are most welcome to also hire one of our trailers one way behind it. 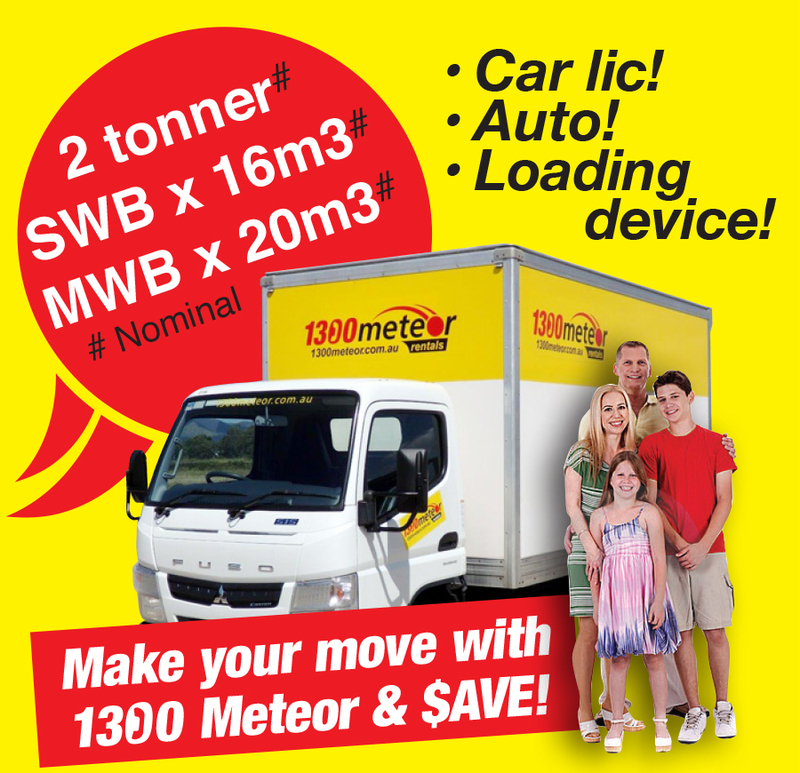 In addition we're the local agent for U-Haul trailers - Australia's long term, local, one-way intrastate & interstate trailer hire specialist! Motor vehicles (and trailers): All current open Australian, overseas and international licences are acceptable. Minimum age: 21. Overseas licences must be in English (RACQ can provide international drivers licences locally for clients driving in Australia with foreign language licences). An Additional Driver Fee (ADF) fee (2 or more drivers) of $11 per driver (once off charge) applies - Renters meeting the provisions of T&C Clause 2.1(c)(ii) are exempt. Provisional Driver Fee (PDF): Drivers with a Provisional licence and have held same for a minimum of 12mths are welcome to rent our 4x2 cars (and no other) - a fee of $20/day or $280/mth applies. a Bond of $1,000.00 for 4WD's and $250 for all other vehicle types (per Vehicle), via a pre-authorisation on your Credit card or bank issued Visa and MasterCard Debit cards with a credit facility and displaying a card number and your name. Cash, Travel cards and Eftpos cards are not accepted. A credit card authorisation is not a charge but holds or secures an amount on your credit card (limiting the funds available), allowing us access to the funds in the event additional amounts need to be charged such as damage liability, rental extension or fuel charges. Pre-authorisations are not able to be cancelled by us but are automatically cancelled by your card provider between 14 - 28 days if not used by us. The card used has to be in the same name as the main driver picking up the Vehicle who must be present. the estimated rental, inclusive of all fees and charges payable by cash, charge and debit cards and Travel Cards. Credit facilities are available subject to application and approval. Whilst we welcome firm bookings, we do not accept temporary bookings at any time. A $100 deposit is required to confirm booking. This deposit is non-refundable where a cancellation is made within 7 days of departure date. A cancellation fee equivalent to one day's rental at the normal daily rate (but excluding risk reduction options) will be applied where the client doesn't show, or makes a cancellation within 2 hours# or after the time (and date) nominated for collection. In addition if a local delivery was requested and the vehicle was delivered a further fee of $35 GST inclusive will apply. #The minimum 2 hours notice applies to office hours, calculated from the time the vehicle was booked for collection between 7:30am and 9:30am (or for delivery/dropoff after hours) must be made the day before, prior to 5:00pm. Quoted daily rates cover up to 24 hours, calculated from the time the vehicle was booked for collection. Late returns will be charged at 1/5 daily rate per hour up to 4 hours after which full daily rate will apply. Quoted rates are based on a continuous rental basis, with no deductions for weekends, public holidays, servicing downtime etc. An administration fee is applied as an extra (5% of contract value GST inclusive). Our vehicles are supplied full of fuel - clients may either return same full of fuel, or leave it to our staff to top up upon return in which case a $20.00 service fee applies, in addition to the cost of fuel taken (at cost). b) notifying and arranging for service by 1300 Meteor Rentals at regular 10,000km intervals and mechanical repairs as required - damage arising from failure to comply is to the client's account. Standard Loss and Damager cover is included in our rates however Renters are reminded that an excess applies for any damage howsoever caused while in the Renters possession - the size of the excess varies according to driver's age, vehicle type and rental office location. $5,500.00 for authorised use on unsealed gazetted roads. You may be able to reduce your liability in the event of an accident by purchasing an additional Risk Reduction option. provide full cover (nil excess) against stone damage to the front windscreen and headlights (all vehicle types), and puncture repairs to tyres for sealed road use of cars and 7-12 seat minibuses. Please note there may be no cover for "Overhead damage", "Underbody damage" or "Water damage" in some circumstances and some other exclusions apply. Please refer to our terms and conditions for a full understanding of the Risk Reduction Option inclusions and exclusions. Windscreen and Headlight cover can be taken out by itself if preferred, and is highly recommended when you consider that a simple stone chip may cost around $75 to repair, or to replace a windscreen anywhere from $250 to over $1,000.00 (guide only) depending on the make and model of vehicle. The information on this site is general and is not intended to be advice on any matter. Nothing contained herein is intended to constitute an offer, inducement, promise or contract of any kind. Ownership of the materials within this web site remains vested in the proprietors of 1300 Meteor Rentals. When driving drivers must use the requisite care and diligence required by law. Nothing within this site shall derogate from this legal requirement whatsoever. The use of this web site and the material contained within it are governed by the laws of Australia generally and the state of Queensland in particular and all disputes are to be determined in accordance with these laws.